USE ON CARS, LORRIES, VANS, BOATS, MOTORBIKES, BUSES, Etc... Aquaclean Solvent Engine Degreaser & Parts Cleaner is a powerful yet versatile solvent cleaner and degreaser formulated to clean all surfaces with the minimum of effort. Ideal for cleaning of engines, chassis, chains, drive shafts, gearboxes and machinery and for parts cleaning. It quickly dissolves grease, oil, wax, diesel and grime from hard surfaces, plastics, rubbers, metals etc. Formulated with emulsifiers, detergents and solvents it can be rinsed away with water. 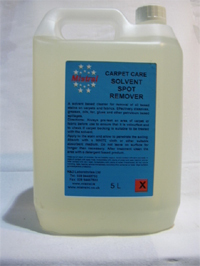 As it contains no harmful acids or caustics it will not attack metals or alloys.